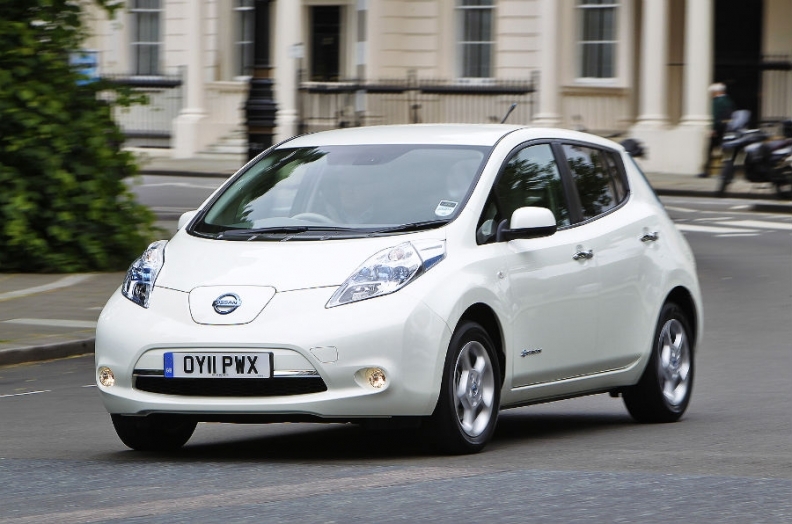 The Nissan Leaf, pictured, will be built in the UK for European markets from next year. LONDON -- Nissan aims to triple sales of its Leaf electric car in Europe this year, with "significantly more" the following year, when the Japanese automaker begins production of the model in the UK. "This year in Europe we're looking to sell around 9,000, up from around 3,000 last year," Paul Willcox, Nissan Europe's sales and marketing chief, told Automotive News Europe. Starting next year, Leafs sold in Europe will be built at Nissan's factory in Sunderland, north-east England, instead of being imported from Japan. The Leaf will be produced on the same line as the Qashqai compact model starting February with a potential capacity of 60,000 a year. "As we localize and bring Leaf to production in Sunderland, we'll then start ramping up supply," Willcox said. "From next year we'll start seeing more product." The Leaf built in Sunderland will have styling tweaks to broaden its appeal to European customers. Willcox said Leaf sales have been affected by the eurozone crisis. "Investments by governments in the [charging] infrastructure have not been at the rate we anticipated three years ago," he said. Later this year Nissan will begin Leaf production at its Smyma, Tennessee, plant for the U.S. market. "You can expect to see the sales move up dramatically starting in September," Nissan-Renault alliance CEO, Carlos Ghosn, told reporters at the New York auto show in April this year. At the Leaf's launch in 2010, Nissan said the Tennessee plant would have the capacity to build 150,000 Leafs a year. Ghosn said at the New York show he expected the Renault-Nissan alliance to sell 1.5 million electric vehicles by 2016. Meanwhile, Willcox said Nissan is considering selling hybrid cars in Europe. "Globally we have hybrid technology that we could bring to Europe," he said. "If the equation's right, we're looking at it across products in the mid-term, so probably two or three years ahead." Currently only Nissan's luxury brand Infiniti sells a hybrid model in Europe.